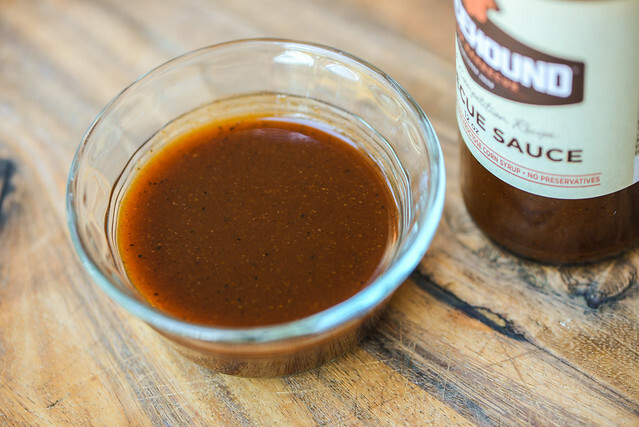 A well balance and layered sauce that provides a full flavor without being overpowering makes Saucehound a top choice to complete any task you put it up to. 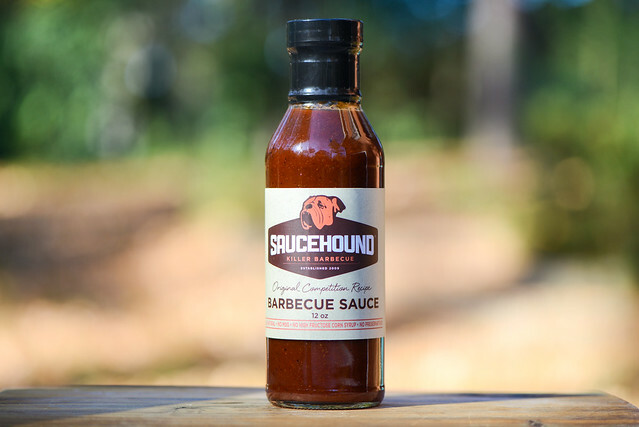 Technically speaking, Mike McDade is the man behind this Saucehound sauce, but the credit for the name and mascot goes to his bulldog Chunk, who's been by Mike's side for the barbecue ride. It started with Mike perfecting his sauce and rub recipe, and knowing he was on to something good, Mike took the next step and formed his own competition team—Saucehound. They're based out of Watertown, MA, but travel far and wide for competition, even making into The Jack in 2011. 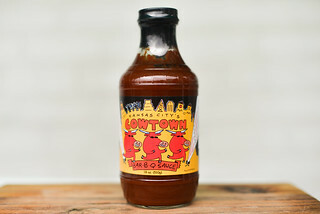 Mike scaled up his sauce production this year and now sells his sauce and rub in stores around Massachusetts and online. The initial smell of this sauce fills the nose with sharp tartness that's cut by a mellow sweetness. There's a lot of complexity to the aroma that takes a few additional whiffs to decode. There is a definite strong tomato base along with ample Worcestershire that creates two additional distinct layers to the aroma. Sitting behind those are an earthy and slightly spice smelling chili powder as well as a mellow onion the melds in with the tomato. This rusty red sauce has a glossy sheen paired with a semi-transparent opacity. This makes it easy to see the tons of red, white, and black spice specs throughout that create a slight texture to this otherwise smooth sauce. Its consistency is medium-thin and syrupy, resulting in a fast, consistent pour from a suspended spoon that leaves a thin coating of sauce left clinging to the silverware after the few final drips have released. There's a sweet start to this sauce the almost immediately pairs with the tomato to create a bright, fruity, and sugary profile. Quickly vinegar imparts a slight tang and creates a contrast to the sweetness while a distinct Worcestershire component adds a lot of complexity. Next a plethora of spices brings in tastes of onion, garlic, and earthy chili. At this point the vinegar begins to take a more starring roll as well as the heat from the peppers to impart an tingling burn on the tongue. The sweetness and tomato never cease though, which leaves a full bodied, very robust final flavor with an excellent balance between sweet, heat, and tang. The sauce coated the chicken in a thin, even layer that baked down well over direct heat. When moved directly over the coals, the leg picked up some attractive caramelization without burning. The flavor continued to demonstrate those balanced traits between sugar, spices, vinegar, and tomato. This gave the leg a tanginess with a strong bright, sweet tomato profile along with a touch of earthy heat. These all came together in a manner that was enough to add excellent over flavor to the chicken without overpowering the natural flavor of the meat. There was over a year gap in time between when Mike messaged me asking to try his sauce and when it actually arrived. 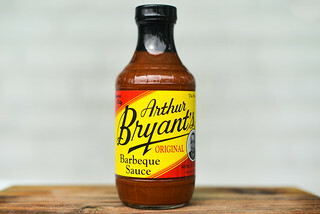 If this was due continuing to perfect the recipe, it was time well spent as this is one mighty fine barbecue sauce. 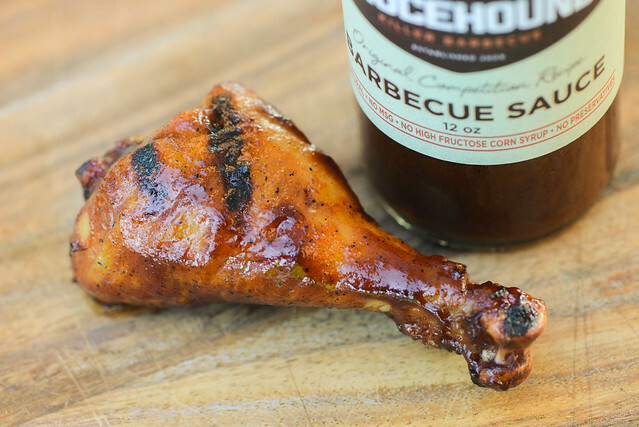 Saucehound brings with it all the classic flavors of barbecue sauce in a balanced fashion with a quality that makes it stand out as a great among a crowded field. All the ingredients here work in harmony to build a layered and complex sauce that will lend a nearly perfect barbecue flavor to just about any meat you desire. This versatility would make it work well for hearty cuts like ribs and beef, but it's also not so overpowering that it drowns out lighter meats like chicken or seafood. It also worked great both on an off the grill, making it well suited for just about any task you need a barbecue sauce to do. Start of 2017 on a high note, with free bottle of Saucehound Barbecue Sauce! 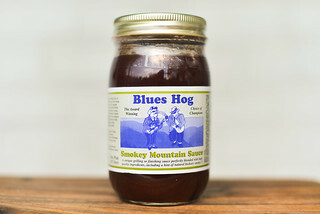 If you'd like to be entered to win this sauce along with a shaker of Saucehound rub, all you have to do is comment on this post with your most memorable piece of barbecue from the past year. Deadline for entries is 11:59pm on Tuesday January 3, 2017. Read the official rules for more details. One entry only per individual. Good luck! My best piece of barbeque this year was a smoked tenderloin we made, basted in a mixture of butter and BBQ sauce. My most memorable piece of barbecue I had this year was pulled pork from Cherry Dr. Pepper injected pork shoulder I made on my Pit Barrel Cooker. Cheers......! My most memorable piece I made where the chicken thighs I turned in at a competition in July. They were the only category I walked in. My most memorable piece overrall was the pork steak I had at Snow's BBQ. Did a full packer brisket for a holiday staff party that was fantastic. Everything (no lie, everything) I had at the King of the Smoker competition. Did a round of pork shoulder, pork ribs, brisket and smoked salmon for a family party. Finally perfected the timing on the ribs! Homemade summer sausage in the smoker. Christmas party where I smoked 22lbs of tri-tip to perfection. We had lots of side dish leftovers, but not one bit of that tri-tip was left at the end of the night. My most favorite BBQ was by my son. He love making baby back ribs! I don't know all of his secrets, so I can't tell you how, but it was melt in your mouth good! Ribs on opening day of Football Season. Go SKINS! Smoked pork tenderloin in bourbon bbq sauce. We had some really New Orleans style ribs from a little place that opened up behind a local bodega...yum! I traveled to Houston for the holidays and had some truly amazing BBQ at The Pit Room, the brisket was some of the best I've ever eaten.